Prizes will be awarded for the tallest plant and the largest diameter seed head. Complete rules on this website. A Summer Place Farm, Rehoboth will have farm fresh eggs available from their Aracana chickens. These chickens are grain fed and include a diet of vegetable scraps. They are free range chickens and lay blue eggs. Mello’s Farm has eggs, too! Level Acres is offering a ‘Farmer’s Market Special’ which will be a Fall pot that customers can design which will include: 1 – 6″ mum, 4 – 4″ pots of their choice (mums, cabbage, asters, ornamental peppers and grasses will be available). This can be planted in a plastic pot for $20. Emily Johnson, of Emily’s Garden fame, will be back with her beautiful assortment of homegrown fresh cut flowers and wreaths. See her Facebook page to get a sneak preview. Mums, corn stalks, and pumpkins will be available this week for your autumn decorating. Proofed Artisan and Traditional Breads have on the menu: Decadent Cinnamon Sugar Pull-Apart, farmstand apple, cranberry & Walnut, Loaded Baked Potato, Lemon & Blueberry, Mixed Italian Cheeses w/Herbs, Pepperoni & Cheese, 7 Grain Organic w/ Pumpkin seeds and more. The Attleboro Historical Preservation Society will be on hand selling the limited edition Christmas Ornaments! The third edition features the arches of Capron Park! Trinity Bar, Restaurant & Patio, Norton will be on hand October 6 with a cooking demonstration. Got Sun Go Solar will be available for information about your solar options. October 13 the Attleboro Farmers Market will give away free pumpkins while they last. One per family please. Bring them back on October 20 for the Pumpkin Carving Contest for all ages. Get creative! 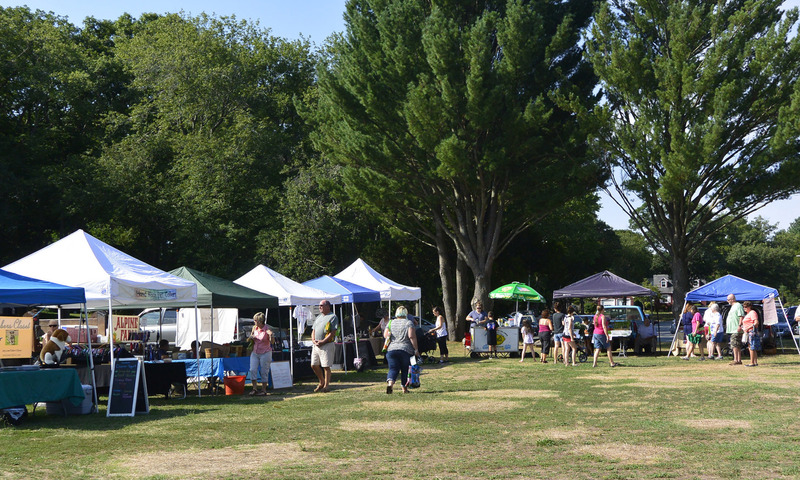 Members of the CROP Hunger Walk organizing team will be at the Attleboro Farmers Market this Saturday, 8-12 to promote the Sunday, October 21 walk that starts and ends at Capron Park, Attleboro. The walk supports the efforts of Church World Service in disaster relief, long term recovery, and self development. The local walk is sponsored by the Attleboro Area Council of Churches, and a portion of the walk proceeds supports the Food ‘n Friends Soup Kitchens sponsored by the Council of Churches. They will have informational literature about the walk and give people an opportunity to make monetary donations, and will be glad to receive non-perishable food donations for the Food ‘n Friends program. Any checks for the CROP Walk should be made out to Church World Service. We ask that you bring healthy non-perishable and not out-of -date food products. Food items such as soups, peanut butter, canned fruits and vegetables, pastas, sauces, canned meats and toiletries such as tooth paste, toilet paper, facial tissues, shampoo and soap are welcome. Cash or check donations will also be accepted. When you make a donation you will be entered in a drawing to win a Kindle. A drawing will be held at the end of the season. For more information contact Virginia Flynn, AFM Pantry Coordinator, at stuflynn@gmail.com Rev. David Hill, dsh761@verizon.net, 508-222-1298.